safety | Helmet or Heels: I'm comfortable in either! If I’m allowed back on a motorcycle – with the approval of my neurologist of course – this helmet looks awesome. I want one! Have you heard about it? Well Minnesota is starting to defrost after a long, cold, snowy winter … did I mention it has been a long, cold, snowy winter?! Seriously, it was one for the record books with so many days below zero. 53 to be exact. This past week the thermometer was creeping up to 40 F (4.4 C) and that meant motorcycles were hitting the streets. Many potholes, some wet, others salt and sand covered streets. Just this week I looked out my front window to see a man on a motorcycle with a woman riding pillion. Bundled up, but they got a ride in! It is also a time to remind ALL drivers/riders to pay attention to the road and what and who is around them. It is not a time to text or do anything else that would distract you from driving. A friend shared this video on Facebook and the story moved me to share it with you. In this story someone lost a son, husband, grandfather, friend, coworker and more just because they had to text. Another was left seriously injured. Let’s promise each other we will not text or do any other distracting thing while driving and encourage others to do the same. I have a new friend on Twitter! Her name is Michelle, her family calls her Shelly, and goes by @SturgisChick on Twitter. She was born, raised, and lives in Sturgis, South Dakota. How cool is that?! Well, it gets even cooler … Michelle has a blog too, StrugisChick where she tells stories of her travels, adventures, and experiences. Another must follow. How long have you been riding a motorcycle? Since I was 15 technically but I didn’t get my license until I was 30 and didn’t ride for about 10 years during that gap. How did you learn to ride? My boyfriend had a Honda XR500 dirt bike that he used on his family’s ranch. He taught me to ride but had to ride on the back with me because I couldn’t touch the ground when we stopped. After about 10 years without riding, I decided to sign up for the Motorcycle Safety Foundation course and start from scratch. What was your first motorcycle? The first one I rode regularly was a Kawasaki Sherpa 125, which I borrowed from a friend. 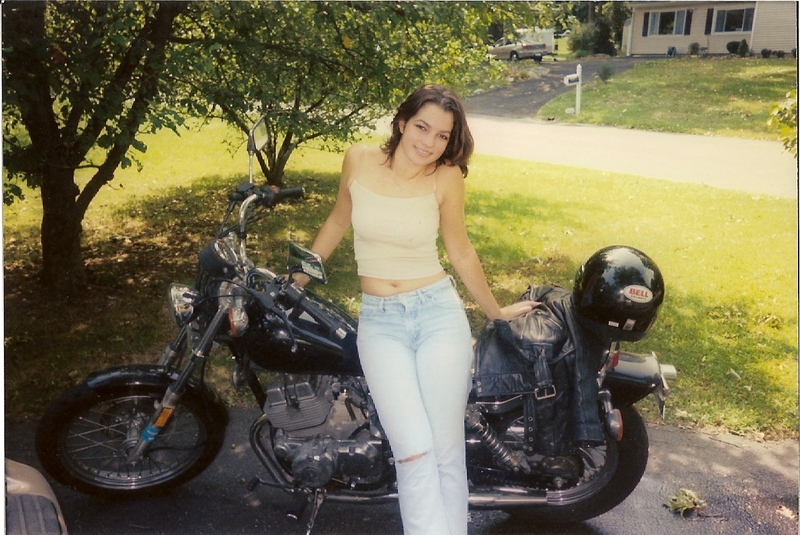 I later borrowed a Sportster from the same friend for a couple of years (I know! How generous is that!). The first bike I owned was a Harley-Davdison Fat Boy with a 1550 which I bought for my 40th birthday. How many have you owned? 2 – the Fat Boy and my Kawasaki KLR650 which is a dual sport bike. Why did you want to ride a motorcycle? 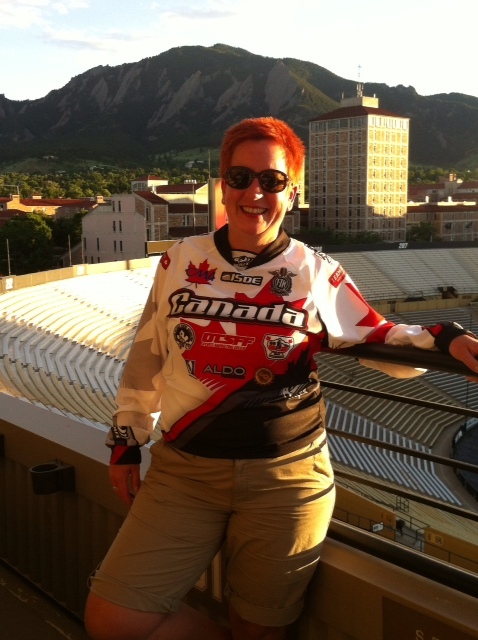 I was born and raised in Sturgis, South Dakota, home of the world-famous motorcycle rally. How I could I not get bit by the bug? Although I was a ranch kid I always loved riding 4-wheelers and snowmobiles and eventually learned to ride a motorcycle. Tell us about your riding. Having the Black Hills to ride just outside your door provides the best curvy roads and beautiful scenery. 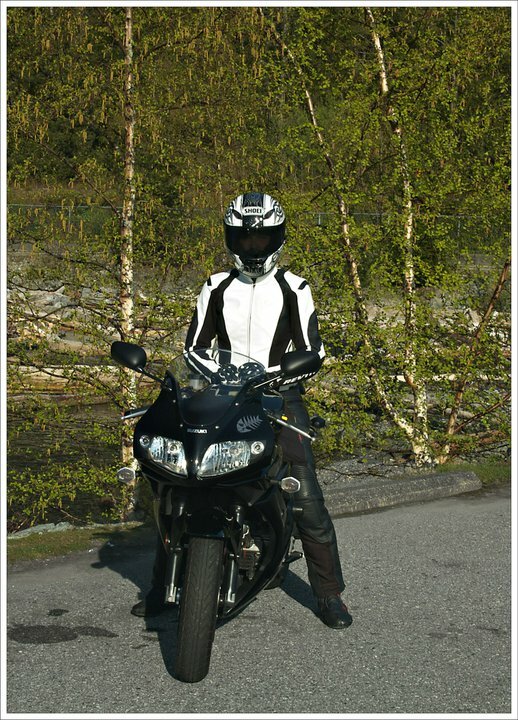 I love to ride for pleasure after work or on weekends and took my first motorcycle vacation in 2011. What is the longest trip that you’ve taken on your cycle? I’m on it now. 8000 miles and counting so far. Left South Dakota to go up through Canada and do the Trans Labrador Highway and then down the east coast of the US. Planning to head to Mexico and Central America and on to South America. Do you belong to any motorcycle groups? 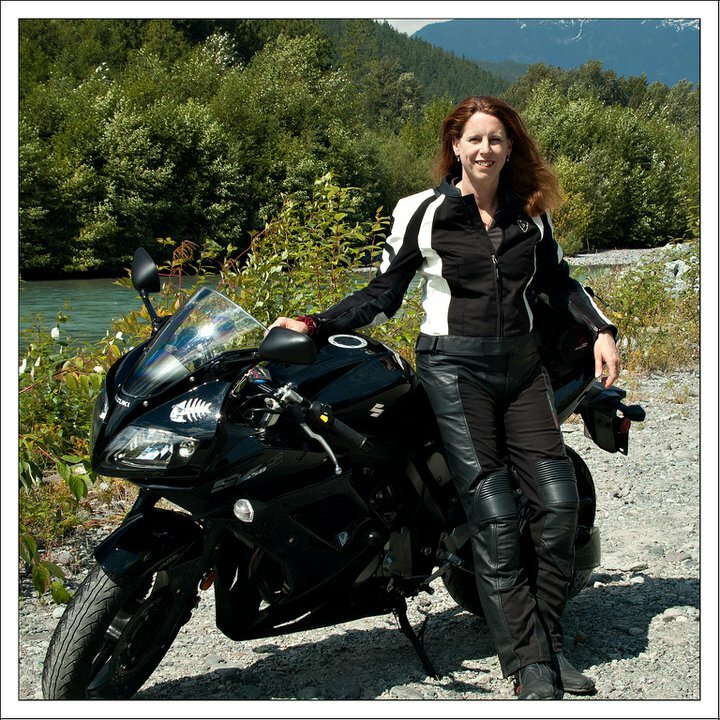 Several online – ADVRider.com, Horizons Unlimited and Two Wheel Females and I’m a member of H.O.G. I plan to be active with local clubs (a dual sport riding club and my local H.O.G. chapter) and national groups when I get back home. Do you have a favorite riding story? Strange as it may sound, it was when I had a wreck on my bike this summer. 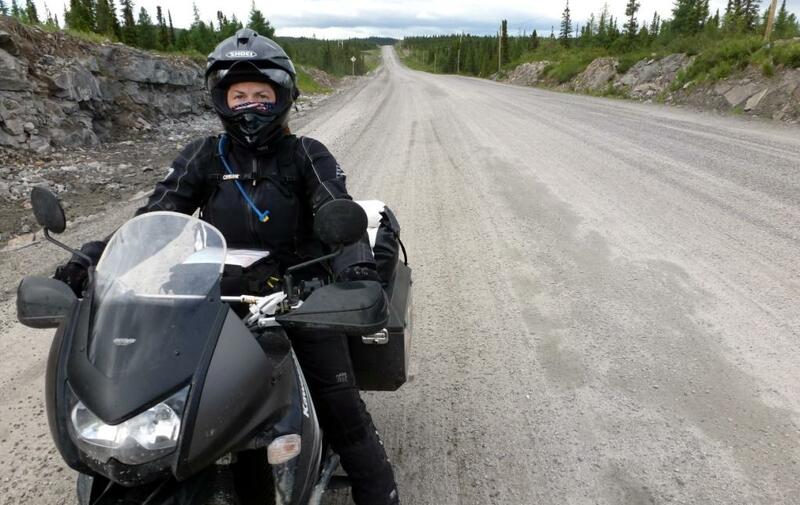 While riding the Trans Labrador Highway in early July in a remote part of eastern Canada, I came off my bike. It was an awkward fall and I broke my leg and had to be flown several hundred miles from there to have surgery. My boyfriend posted a message on a local forum and received several offers for help including places to stay. 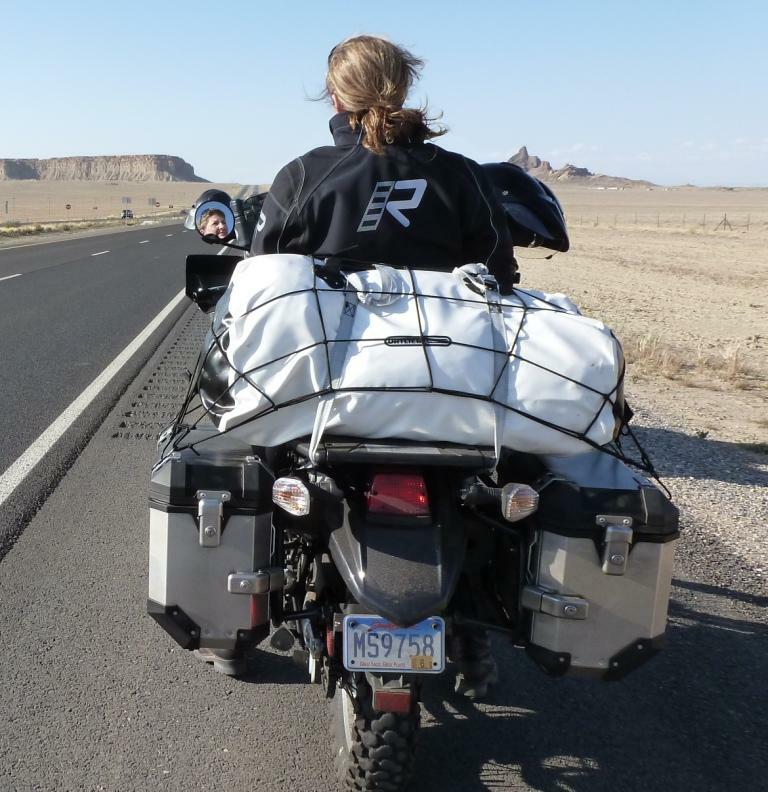 People helped with all sorts of things – storing my bike, hauling my bike, taking me sightseeing while I was on crutches, and providing us with incredible support. I met some of the most generous people who will be lifelong friends because of that event. It forced me to let go of my schedule and be open to the entire experience (good and bad), which was one of my goals for this extended trip. My accident was a life changing experience I wouldn’t trade for anything. What do you do when you’re not riding? I was a hotel manager for 21 years and it was a full-time-and-then-some job. In my spare time I went riding, hiking, gardening, camping and have always loved to travel. Delighted, that is how I felt when my next guest Paige a.k.a. @Filosoficalfish said yes to adding her story here on my blog! She lives in North Vancouver, BC and has a blog, The Philosophical Fish. Oh my it is a must see and follow! Paige has quite a good eye behind the camera. Seriously. How long have you been riding a motorcycle? I was on my brother’s dirt bike decades ago, and often rode on the back of his street bike. I had a couple of boyfriends with motorcycles, so I spent a lot of time riding two up. 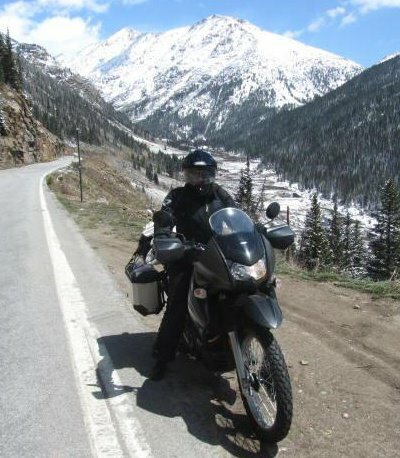 So although I’ve always been around motorcycles, I’ve only been riding my own for about four years now. How did you learn to ride? I played in the gravel pits out at our cabin on my brother’s dirt bike many years ago, and when we travel abroad we often rent scooters to explore. But my husband encouraged me to get formal training and get my full license, so I took a week long course with the Pacific Riding School in Surrey, BC. Spending so much time on a scooter made learning a bigger bike a cake walk. What was your first motorcycle? Well, if we are splitting hairs, my first motorized two-wheeler was actually an Aprilia SR50 sport scooter, and I still have it. I don’t think I’ll ever get rid of it because it’s just so much fun and so perfect for around the city streets. It’s so easy to maneuver in heavy traffic and drivers don’t have the hate-on for scooters that they do for motorcycles. Win-win! Plus it keeps me on two wheels all year round. How many have you owned? If you include the Aprilia scooter in the count, I’m on number three now. After a year on the Aprilia I bought a Suzuki SV 650S and rode that for three seasons and put about 25,000 km on it. It was a great bike to learn on, even though I’d really wanted to start on a Ninja 250. The SV taught me a ton and it was such a wonderful torquey ride in the twisties. Nimble and fabulous and we grew together since it had so much to offer. 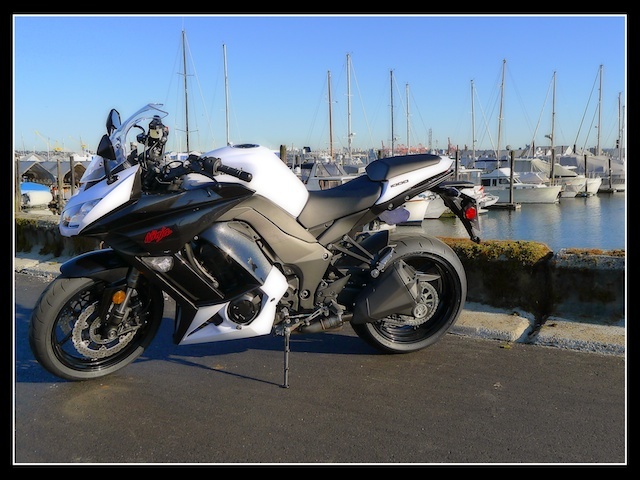 I traded the SV in for a Ninja Z1000 just a few months ago and already have 8500 km on the new ride. It is a major jump in power and it’s been interesting; a lot more twitchy but we’ve become good friends. Two of my favourite toys. Why did you want to ride a motorcycle? I didn’t. It honestly never entered my mind. Scooters were for vacation fun, and I was happy on the back of a motorcycle because we could have conversations while on the road. But getting a motorcycle of my own was a bit of a chain reaction event. I ended up with the scooter because I was trying to buy a new truck and had become frustrated with dishonest dealers. I killed two truck deals and went and bought the fastest and sportiest little 50cc scooter I could find instead. I had it derestricted and put a Leo Vince pipe on it. I can wind that little bike up to over 95 k/hr! My husband started getting misty eyed about missing riding, so I encouraged him to get a new bike. I’d been telling him to get one again, for years. But when he did, the one he chose (a Triumph ST) wasn’t terribly comfortable two-up. He wanted me to get my Class 6 license “just in case”, so I did, with no intention of ever owning my own, and I’d clearly made that statement when I took my course in a room full of testosterone. Day one on the lot in the course and my instructor, a former supersport champ, just started laughing and pointing at me and said “YOU are sooooo getting a motorcycle!” He’d thrown pylons at my head, buckets of water in my face, and jumped on the back and pulled my helmet around and covered my eyes said he’d never seen anyone keep smiling and laughing the way I did while maintaining focus and total control. I bought the SV two weeks later. The rest, as they say, is history, and Kirk says his plan worked magnificently. Tell us about your riding. I commute on the scooter, it’s perfect for it. The Ninja is for pleasure and vacation riding. It’s great for a rip up the Sea to Sky or down Chuckanut Drive for fun, and with the luggage kit I now have, it’s perfect for long trips. And sometimes I get to combine the two and use it for work travel too. Can’t beat that! 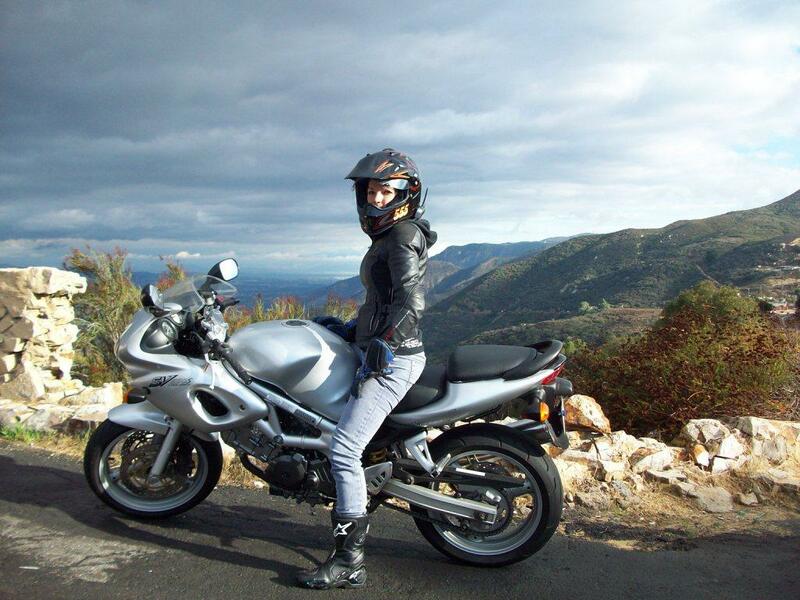 What advice do you have for women who ride or want to ride a motorcycle? Take a course, have fun, stay calm. Don’t get pressured into anything. You don’t have to feel that you have to keep up to more aggressive riders, or have a bigger bike. Don’t play the numbers game, it doesn’t matter. Riding is an individual thing, even if you are in a group. Leave the ego behind, you don’t have anything to prove to anyone. And stop over-thinking and planning, just do it. The more you think about doing it, and the more time you spend planning, the more time you waste! Maybe it will be for you, maybe it won’t be, but there is no time like the present to try. What is the longest trip that you’ve taken on your cycle? We just returned from a nine day trip down the Washington and Oregon coastlines, and then back up through the volcano region. It was a fabulous trip full of challenging roads and incredible scenery. And just four hours after we passed through the North Cascades highway there were eight mudslides closing the road until further notice! 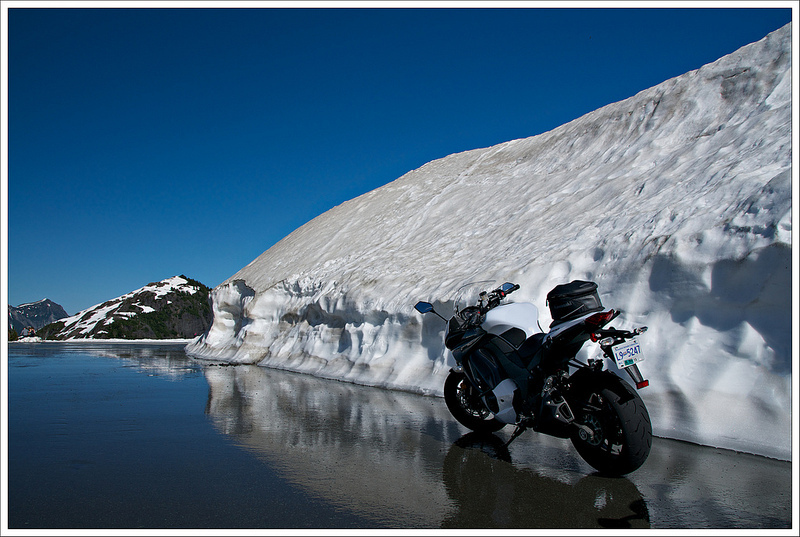 We logged 3,456 km by the time the bikes were put to bed. Do you belong to any motorcycle groups? Not really. I’ve never really enjoyed group riding – sometimes the dynamics become too much about egos and that tends to irritate me. So offline, no. Online, I have been active in a group that has been advocating for better motorcycle parking in Vancouver (www.mcarking.ca), but that’s about the extent of things. Mostly I ride solo or with my husband, and occasionally end up with unplanned small groups when I accidentally come across friends on the way. Never dis my little scoot! What do you do when you’re not riding? I am so happy to do what I love. I work for the Federal Salmon Enhancement Program in British Columbia as a biologist. I work with the major salmon hatcheries to support rebuilding, conservation, and harvest opportunities for Pacific salmon. I am also involved in fish health education within the SEP program, and teach a few courses in the subject area at the University of British Columbia. Outside of work we are boaters and are switching from power to sail soon. I also love kayaking and downhill skiing, and am a hobby photographer. The internet sure has made the world smaller. Because of blogging and Twitter I’ve met and introduced lady riders from around the world all with the same passion for two wheels. I only wish I could met each and every one of them face-to-face! How long have you been riding a motorcycle? 44 years. Yes, since I was five. How did you learn to ride? I grew up as 3rd generation rider in a motorcycling family. My grandfather started the family retail motorcycle shop in Ontario in 1937, which my brother still runs today. Why did you want to ride a motorcycle? I grew up riding and competing in trials and then enduros starting at age 14. 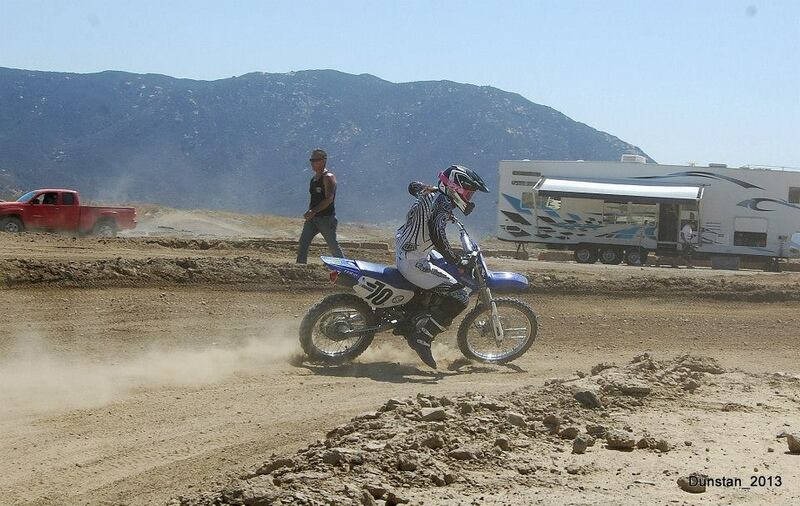 At 19, I walked away from riding other than riding on the street and the occasional track day or enduro/off road ride. I went back in a significant way at age 30 simply because I missed riding and I missed the riding community. Tell us about your riding. I retired once again from competition (national and provincial enduros after being in the top 3 in the women’s class for 9 years) at age 38 but continue to ride both off and on road for fun and adventure. 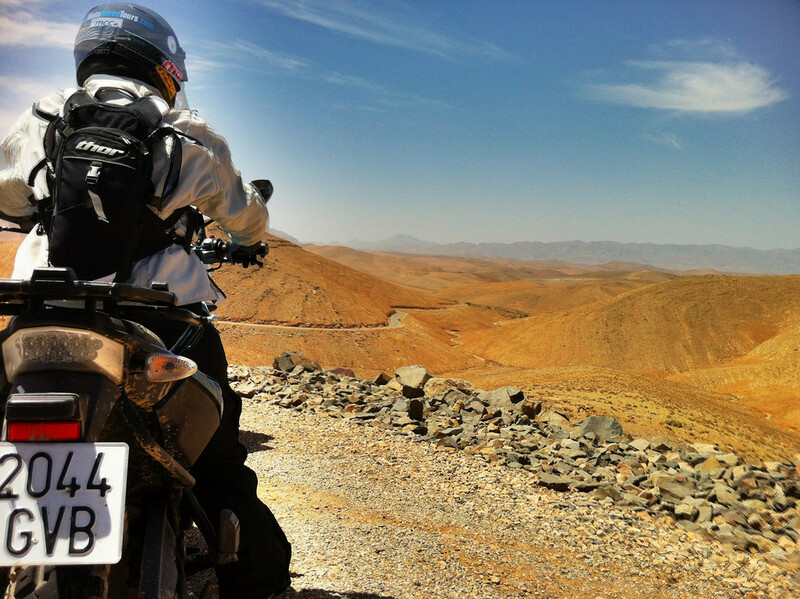 I must admit by heart is in the dirt and love exploring new riding areas from Nevada to Baja to Morocco. 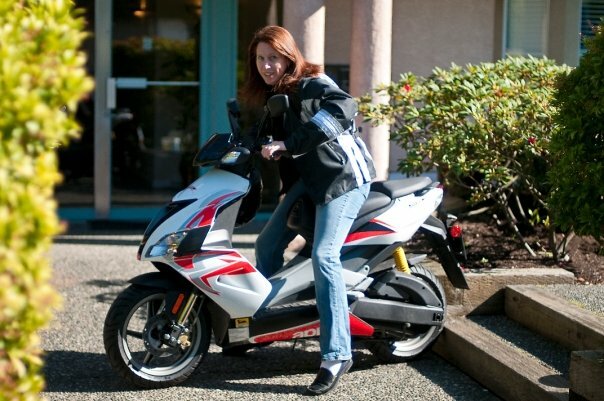 What advice do you have for women who ride or want to ride a motorcycle? Take a course. But take the time to find the course that is right for you. Always be improving your skills. What is the longest trip that you’ve taken on your cycle? Last year. 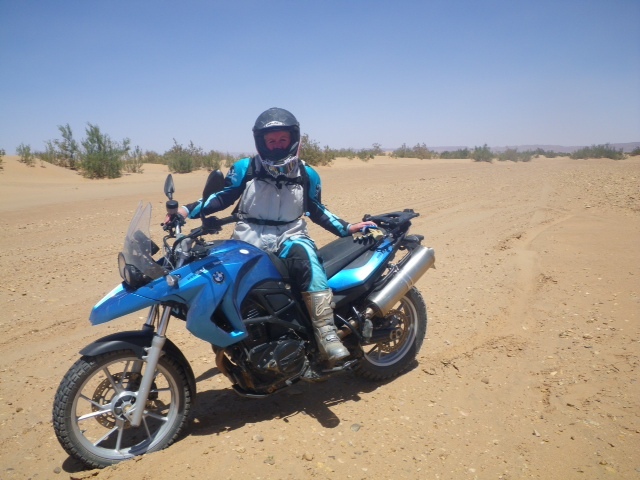 8 days and 2800 kms around Morocco including 2 days off piste [had to look that word up here] through the Sahara. Do you belong to any motorcycle groups? Off or online? I belong to a few. 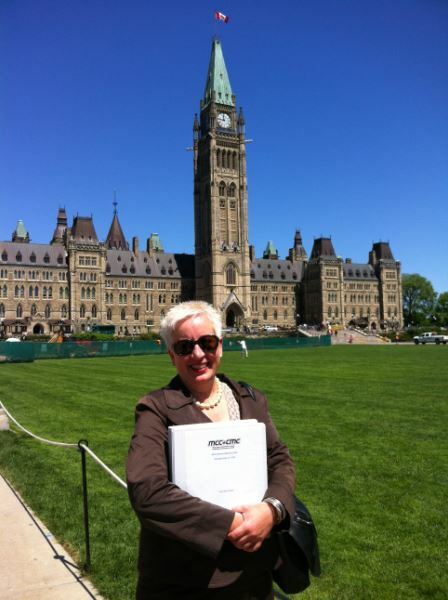 Currently, I am the Chair of the Motorcyclist Confederation of Canada, which is a national motorcycle advocacy and safety group pursing a better rider experience for all and Past Chair of the Canadian Motorcycle Hall of Fame. I also belong to a few off road clubs both on line and off line. I am passionate about giving back to a sport that has given so much to me. Kellee says this is from their MCC day on this hill this May. They were lobbying for motorcycle safety. Do you have a favorite riding story? Many. One fun one is after riding in the in the Sierra mountains in Baja, myself and few female riding buddies had a serious debate. Are we tomboys with princess moments or a princess with tomboy moments. Also, riding across the Sahara desert last year over 2 days and only getting stuck once gave me a great sense of accomplishment. What do you do when you’re not riding? I am lucky to have a great career as the Vice President, Insurance and Driver Licensing for the Insurance Corporation of British Columbia. I love my job and have a great team. Living in Canada, I also downhill ski in the winter plus throw in the odd spa appointment of course. Lately my hubby and I have been catching some Top Shot on Netflix. It is quite a show with skilled marksmen and women competing in historically based events. After watching a couple really talented women on the show I posted on my Facebook page I’d love to try shooting. 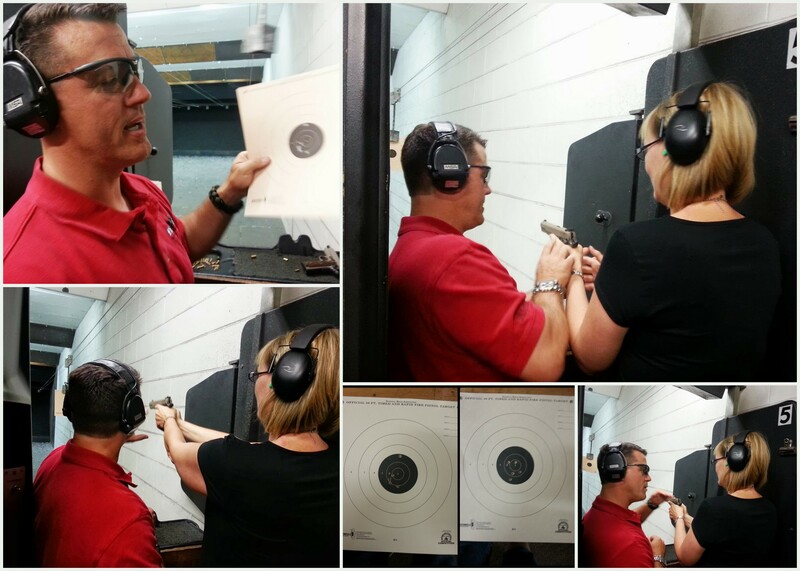 It didn’t take but a day to be invited by a coworker to women’s night at Metro Gun Club. 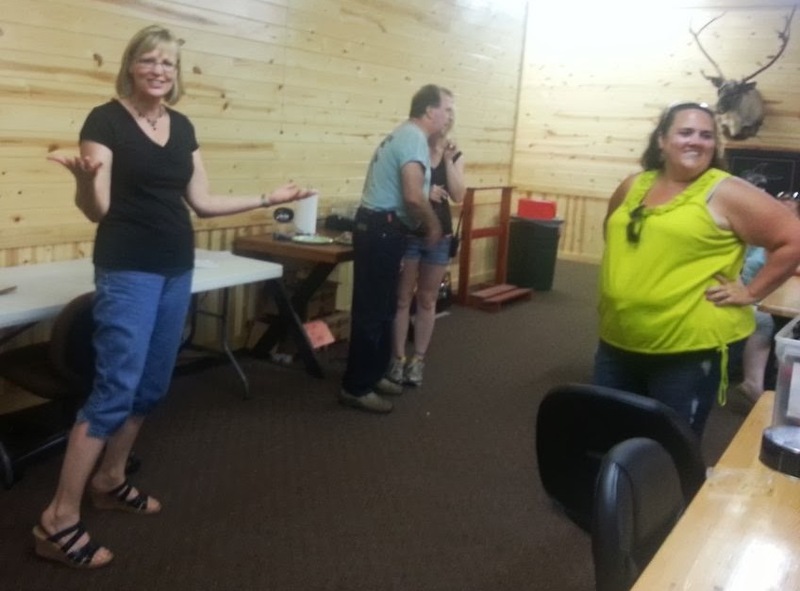 My first event was indoor shooting a 22 caliber handgun. (I have no clue what gun I was using.) 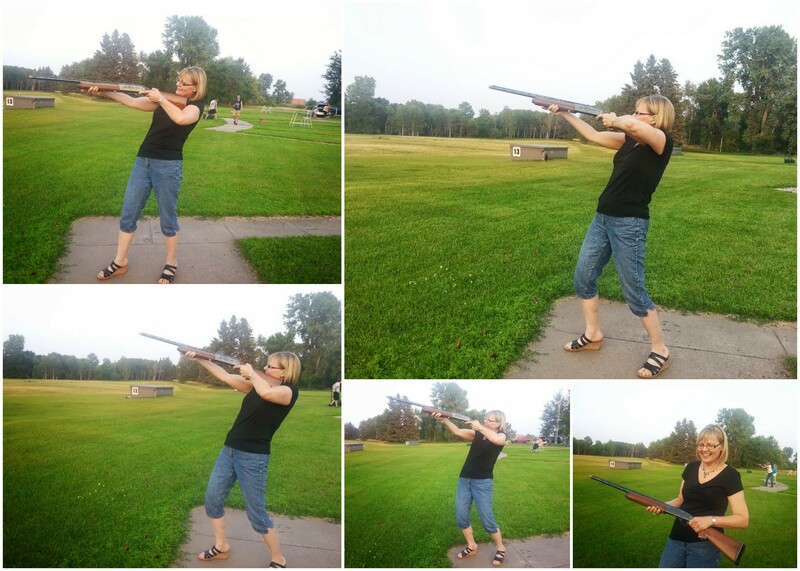 I received one-on-one training on gun safety and handling. I’m a lefty and just happened to have a left handed trainer! I took my first shot and it was in the black circle at 12 o’clock. Second shot 7 o’clock in the black. Then I grouped the next three fairly tight. Wow. That was fun! My second round first shot hit just shy of center! Again, the rest of the shots fell within the black ring. Beginner’s luck I’m sure. 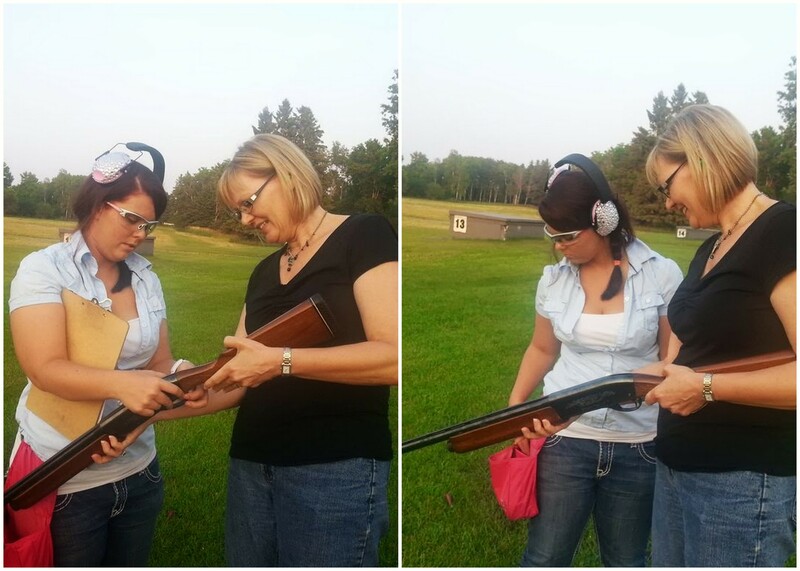 Gun safety and handling training before shooting. Check out my shots! After finishing up here I headed outside to try my hand shooting a rifle. This time I happened to catch the name a Remington 1100. This time my instructor was a young lady. I believe someone said she is a former Miss Minnesota. This time I wasn’t as lucky. I missed the clay pigeon three times. But, please notice I was doing this in my wedge sandals! I don’t know what I was thinking. I knew I was going to the gun club straight from work. My blog is called Helmet or Heels so I guess it fits! 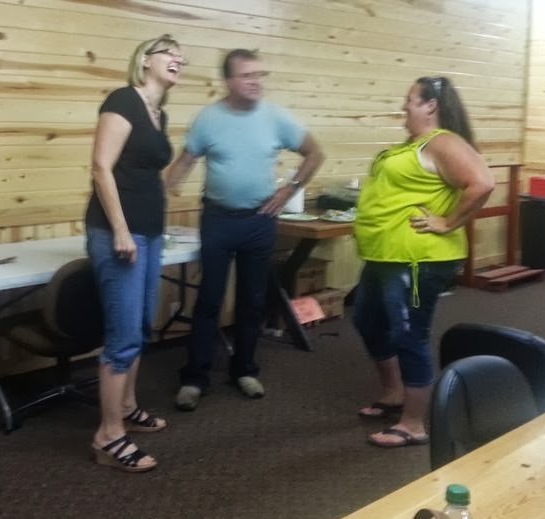 At the end of the evening they called all the women back to see who won the indoor target shooting. They called out me and another woman! What?! Apparently, we tied for first place. To break the tie we had to pick a number between 1 and 10. I lost, but had a lot fun! Tied for first place indoor shooting! I didn’t pick the right number and lost but still had a boat-load of fun! Well, maybe saying I added a new skill to my repertoire is a bit of an overstatement. It was more of an experience! P.S. Please don’t go all anti-gun on me because what I did was in a controlled environment with professional supervision at a gun range. I love it when someone raises their hand, or in this case Tweet, wanting to join in with the other lady motorcyclists on my blog! My next friend is Jen “JROD” Dunstan from Southern California. Follow her on Twitter @JRoD_70 and check out her photos on Tumblr too. And if anyone ever says to me, “You ride like a girl” I hope they mean like Jen! Why did you want to ride a motorcycle? Both my parents are riders, my mom worked at Harley Davidson for a number of years too before I was born. Though they tried their best to hide their two wheeled adventures from me and my sisters as we grew up, Dad couldn’t resist and we always had at least one motorcycle in the garage. Every spring he would fire one up, my sisters and I would coming running with our mom’s helmet and jacket and we would beg for rides all day long. He’d ride us to the beach and back until the tank ran out of gas. He and mom would go out for rides and I would sit at home and just wish I too could know the open road like that. Super proud to say now that all 5 of us in the family have our M1 licenses! Tell us about your riding. Commuter, pleasure, vacation, racing, or ? All of the above! Though these days I do much less on the commuting side – I find the freeways of California to be insanely dangerous compared to my small town roads on the east coast. I will occasionally street ride for pleasure but my main passion is now racing. 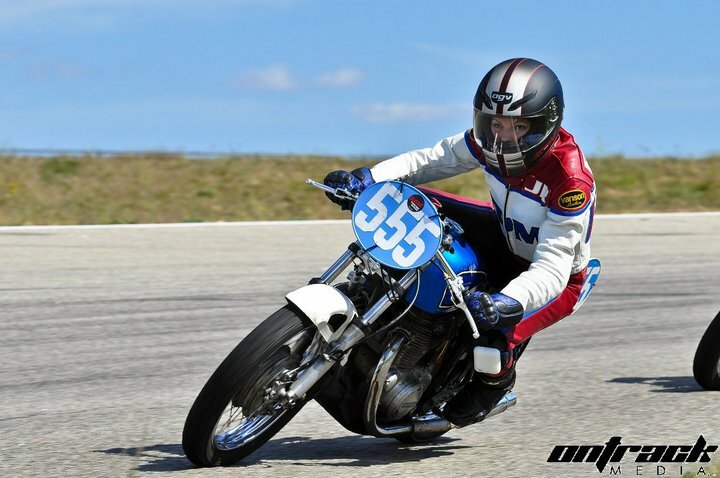 I used to race my vintage ’74 CB360 with my dad back in New England with a group called the USCRA (United States Classic Racing Association). 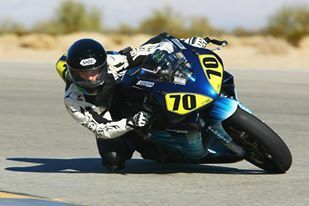 Now out here in California I race with the CVMA (Chuckwalla Valley Motorcycle Association) on my CBR600. Racing motorcycles is an absolute thrill and the racing community is a tight family, one I’m proud to be a part of. I’ve also really gotten into dirtbikes living out here in the motocross mecca and my husband just bought me a 2-stroke CR125 to replace my kiddie TTR125 (yep he’s a keeper)! 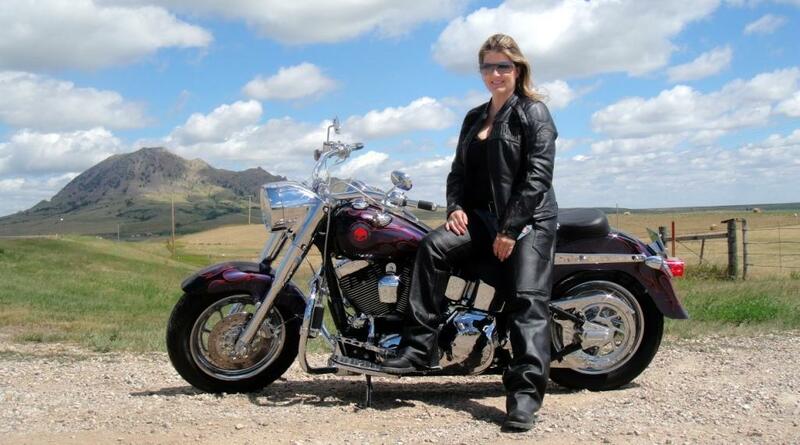 What advice do you have for women who ride or want to ride a motorcycle? 1) If it is your dream, then go for it! 2) Take a MSF or comparable learners course. It seriously makes a difference and is much better than testing at your DMV! 3) Learn on a bike that is comfortable for you. Some folks new to riding think they need the newest, biggest, baddest bike there is out there. Not true! Mid size and small size bikes are tons of fun and have way too many merits for me to count here. Point is; do your research, sit on as many bikes as possible, and buy what is sensible. 4) Ride with like-minded riders who are responsible. I once was stuck on a group ride with a bunch of hooligans and hated every minute of it. From then on I promised myself I’d only ride with people I know to be experienced and responsible riders. 5) Try a track day! I think every rider should one day know the joys of an open track free from cars, pedestrians, cops, and other hazards. I had no clue track days existed until I was already a street rider of 6 years. Had I only known sooner! What is the longest trip that you’ve taken on your cycle? Probably the trip from Orange County CA to the Laguna Seca MotoGP race in Monterey Bay northern California … just under 800 miles round trip. Do you belong to any motorcycle groups? Off or online? Race organizations: USCRA, CVMA. 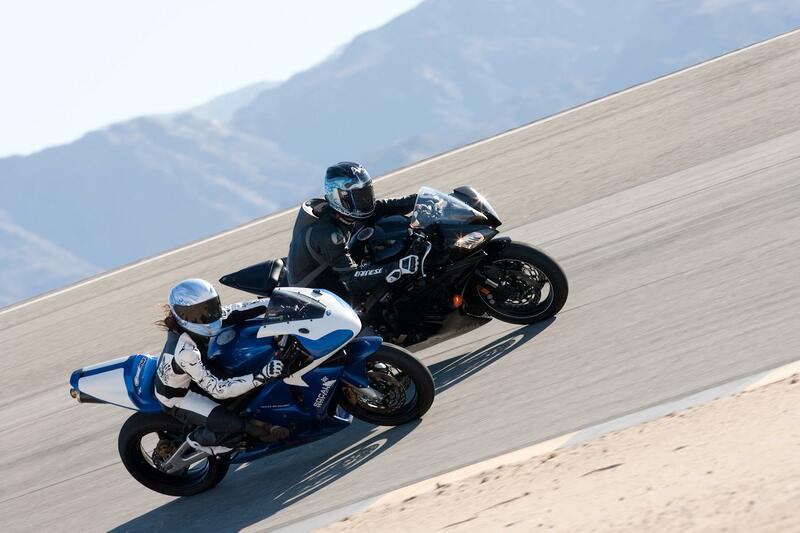 Online communities- OCmoto.com, Socalmoto.org and Girlclutch.com (racing) and I am a proud assistant to the annual Femmewalla Women’s Only track day event, happens every December at Chuckwalla Valley Raceway. Please check out the FaceBook page! Do you have a favorite riding story? The best day of my entire life was the day I married the love of my life, Alexander Dunstan, on the start/finish line of Chuckwalla Valley Raceway on October 13 2011. We first met each other at a track day back in Loudon, NH, completely fell in love and we felt it very fitting that we tie the knot at a racetrack as well. Lucky for us we have some really amazing friends who made it possible for us to marry at our favorite race track and then share our combined passion for motorcycle and riding with a half day track event for all attendees. Alex and I had a few laps all to ourselves that day and all the anxiety and stress of wedding planning melted away as we carved the corners together in unison. What do you do when you’re not riding? When I’m not riding I’m probably working, hah! Which actually turns out alright because I work at Troy Lee Designs (mx gear company) so I still get to think/talk bikes all day anyway! I also enjoy mountain biking, crossfit with Pandemic Crossfit of Norco, and doing some art projects on the side whenever I get the chance. 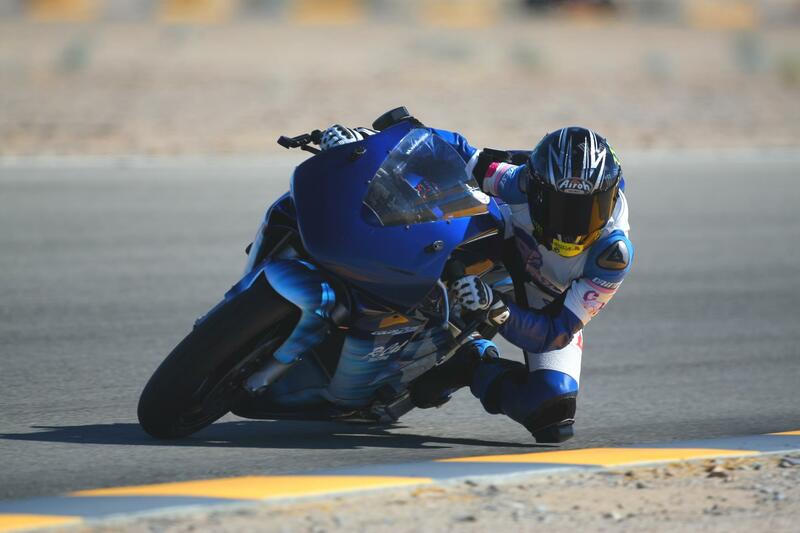 I’d like to give a special shout out to the female athletes competing in motorcycle racing. They are pioneers in the sport and they pave the way for future generations of female riders and racers worldwide. The more we promote our ladies in the professional level, the more young girls will grow up seeing that they too can ride and race. Please everyone, check out our female racers and follow them/like them/view them, show some support! Social media is now a legit metric companies recognize and every time you hit the like button, you are improving these ladies odds of funding for future seasons of racing.